Blake Huddleston, an Oklahoma State blogger, created a preview for us. The blog is www.gopokesgo.blogspot.com . Check that site out. WHEN THE COWBOYS HAVE THE BALL- Oklahoma State is going to face the toughest defense they have faced this year, an extremely physical Cardinal defense. The only defense that really compares to Stanford's is Iowa State. Oklahoma State offensive coordinator Todd Monken said that Stanford’s defense is like Iowa State in terms of formations/strategy/tendencies. But overall I think Oklahoma State's offense will match up well with Stanford, mainly because of team speed. The Cowboys have more speed on offense then Stanford does on defense and probably by a lot, and that’s something Oklahoma State will try to take advantage of. The key on offense is establishing a rushing attack, and that won’t be easy, Stanford ranks 5th in rushing defense. Stats don’t tell the story but even on the field Stanford’s rushing defense looks very good. WHEN THE CARDINAL HAS THE BALL- Once again Oklahoma State is going to face something it hasn’t faced this year, a “Pro-Style” Offense, a very physical run first pro-style offense. We all know Andrew Luck is the golden boy, projected to be the first round pick and all that but that’s not all there is to Stanford’s offense. This offense starts upfront, with an offensive line that does an outstanding job protecting Luck and opening up running lanes for their offense. With that being said the keys for Oklahoma State are going to be tackling in space and covering well, the Cowboys aren’t going to get to Luck so they need to cover his targets and take his running game away and force some bad passes. I’ve got Oklahoma State pulling this game out 48-28. Seems like a lot but with Oklahoma State’s speed I see them throwing all over Stanford. Make sure to check out www.gopokesgo.blogspot.com and follow Blake @Blake_Aaron1125 . Bill Haisten, of the Tulsa World, answered some questions for us about Oklahoma State. BS: The Cowboys finally beat Oklahoma, and it was in very convincing fashion. How big is that for the program? Bill Haisten: It was important for Mike Gundy, who until this season had beaten Texas, Texas A&M, Nebraska, Georgia and Alabama, but hadn't beaten OU. It was important for sustaining the business of the OSU football program, which this season shattered school records for season-ticket sales and attendance. Also, with OSU's new Nike-designed uniforms, the university's merchandise sales are at an all-time high. For six years, Gundy generated momentum that resulted in a second consecutive 11-win season and the 44-10 Bedlam win. The OU game was particularly important for an OSU senior class that enters the Fiesta Bowl with a career total of 40 victories. Personally for Gundy, the OU outcome probably pushed him over the top in being voted the Eddie Robinson national coach of the year. BS: The offense is second in the country in passing. Talk about the play of QB Brandon Weeden, WR Justin Blackmon, and who are the other top weapons? Bill Haisten: Weeden is the best pure passer I have ever covered at the college level. He can make every throw -- including the short ones that require touch and the deeper ones to any spot on the field. Weeden routinely completes passes that other college guys simply cannot execute. In only 25 games as the starting QB, Weeden has broken every significant passing record at OSU. In true road games, his record is 10-1. With Weeden at quarterback, Oklahoma State has scored 142 offensive touchdowns. Blackmon just has an incredible knack for getting open. He's a big receiver who abuses most college cornerbacks. Weeden and Blackmon have a tremendous chemistry. In 12 of his last 24 games, Blackmon had at least 10 receptions. With 154 catches, slot receiver Josh Cooper quietly has surged into the No. 5 position on OSU's all-time receptions chart. Sophomores Joseph Randle and Jeremy Smith are dynamic in the backfield, having rushed for a combined total of 32 touchdowns and more than 1,800 yards. BS: The defense has given up some points, but is much better than people give it credit for being. What do they need to do to be successful against Stanford and who are the key players? Bill Haisten: Oklahoma State's defense leads the nation in turnovers forced with 42. Eleven different Cowboys have gotten at least one interception this season. OSU is fast and athletic defensively, but Stanford provides a different type of challenge in that Cardinal quarterback Andrew Luck takes care of the football (and his offensive line takes care of him). Instead of playing opportunity football -- capitalizing on the mistakes of the opposing QB -- OSU has to play basic manhood football in the Fiesta Bowl. The Cowboys must tackle well, get third-down stops and force Stanford to punt. OSU gets tremendous play from both corners (Brodrick Brown and Justin Gilbert) and from safeties Markelle Martin and Daytawion Lowe. Linebackers Shaun Lewis and James Thomas are big-play guys. End Jamie Blatnick has had the best season of his career -- and the best season of any Mike Gundy-coached defensive end. 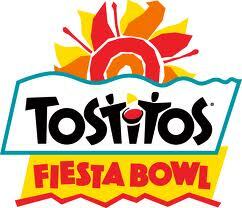 BS: If you could choose one player to have a breakout performance in the bowl game, who would it be? Bill Haisten: I'm tempted to go with Justin Gilbert (always capable of big kickoff returns) and Joseph Randle (23 touchdowns this season), but Justin Blackmon has been OSU's best playmaker for two years and will be again in the Fiesta Bowl. It probably doesn't qualify as a "breakout performance" when a receiver is a two-time Biletnikoff Award recipient, but I expect Blackmon to end his career with big stats and a couple of touchdowns against Stanford. Thanks a lot to Bill Haisten. Check his work out www.tulsaworld.com and follow @billhaisten . Tom FitzGerald, of the San Francisco Chronicle, answered some questions for us about Stanford. BS: Stanford is in its second consecutive BCS bowl game. How has this program been able to transform into a national power? Tom FitzGerald: Jim Harbaugh, who arrived in 2007, changed the culture at Stanford, which hadn't had a winning season since 2001 and hadn't won a bowl game since 1996. A very skillful recruiter, he convinced recruits -- and the holdover players -- that the Cardinal could contend for the conference championship and aim even higher. He's a wonderful motivator, and his approach was a blue-collar style: run the ball, block fiercely and use play-action passes off that. It certainly helped having Andrew Luck at quarterback, beginning in 2009. Harbaugh hired a terrific staff, loaded with former NFL assistants. Defensive coodinator Vic Fangio, for instance, did a wonderful job in his one season in 2010 with a defense that had been porous previously. He really shaped them up. David Shaw has been masterful at carrying on the Harbaugh tradition. He also has shown a knack for hiring very effective assistants. BS: The offense has done well this year, led by Andrew Luck. The Cardinal score 43.6 points a game. Talk about Luck's play and who are his top weapons? Tom FitzGerald: Luck is everything you want in a quarterback; it would take too long here to describe all his assets. He's going to be a terrific pro. The funny thing about this offense is that there is really no deep threat. It was thought at the beginning of the season that Chris Owusu would be that guy, but he never really filled that role, and then a series of concussions took him out of action completely. Griff Whalen has been a very effective possession receiver. The younger guys haven't contributed a lot, although freshman Ty Montgomery has shown some potential as Owusu's main replacement. What has saved Stanford is a terrific corps of tights ends: Coby Fleener, Zach Ertz and Levine Toilolo. Fleener, a senior, has excellent speed and hands. He looks to me like a surefire pro star. So does Ertz, who's a sophomore. He missed several games down the stretch after getting hurt on the opening kickoff against USC, and that really hurt. Toilolo is 6-8, 262 pounds, and a great athlete. He's been a fine addition to the mix after missing last season with a knee injury. He hasn't developed into the great goal-line threat on alley-oop plays that the coaches had anticipated. But the play worked in the Notre Dame game and could happen again in the Fiesta Bowl. BS: The defense has done well, but has struglled against more athletics teams USC and Oregon. What do they need to do against a prolific Cowboy offense and who are the key players? Tom FitzGerald: They need to rush the passer consistently and tackle better in the open field. Actually the Cardinal has done a good job in clamping down on top receivers, including Robert Woods of USC and Keenan Allen of Cal. In the secondary, safeties Delano Howell and Michael Thomas are very good, although Howell was hampered by injuries late in the season. The rotating cornerbacks are still in a little suspect, in my estimation. The key will be whether people like Chase Thomas, who led the Pac-12 in tackles-for-loss and was second in sacks, and Ben Gardner can keep the heat on Brandon Weeden while the secondary pays extra attention to Justin Blackmon. Tom FitzGerald: Coby Fleener. He scored Stanford's last three touchdowns against Virginia Tech in last year's Orange Bowl on pass plays that covered 41, 58 and 38 yards. He has exceptional speed for a big guy, and I think he may have a big night in Arizona. He and Luck have great chemistry, and Fleener is a very difficult guy for most linebackers to cover. Thanks a lot to Tom FitzGerald. Check his blog out at http://blog.sfgate.com/stanfordsports/ .